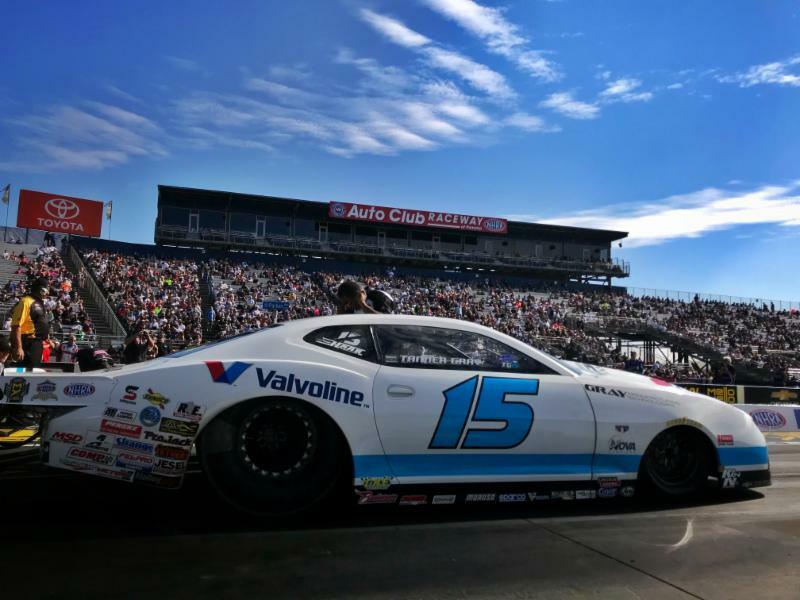 Since 1990, when the season’s outstanding rookie racer in the NHRA Mello Yello Drag Racing Series was first officially recognized, the roll call of winners has showcased the diversity of NHRA’s talent pool. Those lauded for their achievements in their debut season cover a broad spectrum, from second-generation racers to newcomers, from racers whose rookie season was far from their first behind the wheel to those just getting started in the sport. A distinguished panel of auto racing journalists determines the recipient. Other candidates for the prestigious award (listed alphabetically) were Troy Coughlin Jr. (Top Fuel), Joey Gladstone (Pro Stock Motorcycle), Jonnie Lindberg (Funny Car), Andie Rawlings (Pro Stock Motorcycle), Shawn Reed (Top Fuel) and Mike Salinas (Top Fuel). 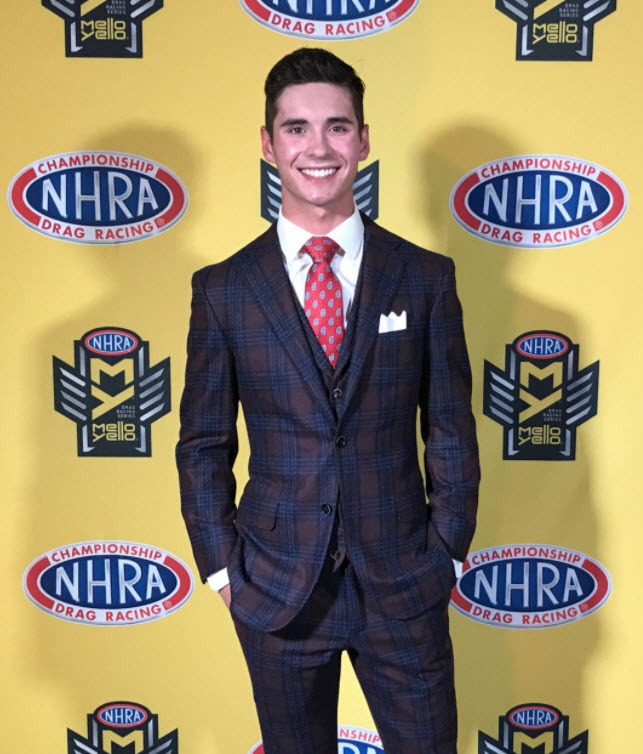 Gray started off his drag racing career in fine fashion, earning his first Wally at the Denso Spark Plugs NHRA Nationals at Las Vegas, just the fourth race he attended. He went on to win four races later in Brainerd, taking down Jeg Coughlin Jr., before winning twice more during the regular season. 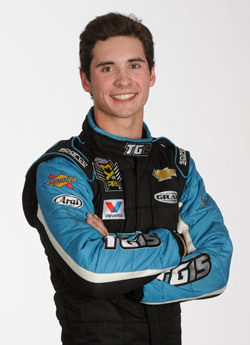 The rookie earned one win during the Countdown to the Championship, which he qualified for as the No. 2 seed. Gray took home the Wally at the NHRA Carolina Nationals to open the Countdown by beating Greg Anderson, who finished second in the points. The rookie, who races out of Gray Motorsports, beat champion Bo Butner three times during his inaugural campaign. Gray joins an impressive list of winners, many of whom have gone on to prove themselves worthy of the affirmation. Three-time and reigning Top Fuel world champion Antron Brown received the award in 1999 at the conclusion of his rookie year in Pro Stock Motorcycle, and 2016 Funny Car titlist Ron Capps was recognized as the Road to the Future Award winner in 1997. Jason Line, who added the 2016 Pro Stock world championship to the season trophies he earned in 2006 and 2011, was the rookie headliner in 2004. Del Worsham, one of three drivers to earn crowns in Top Fuel (2011) and Funny Car (2015), scored the rookie award in 1991, and Jeg Coughlin Jr., who won in 1998, earned Pro Stock titles in 2000, 2002, 2007, 2008, and 2013. Pro Stock Motorcycle rider LE Tonglet won the 2010 award following his world championship in the two-wheel class during his inaugural season. Robert Hight, the 2009 Funny Car world champion, won the award in 2005. Larry Dixon received the honor in 1995 before scoring Top Fuel crowns in 2002, 2003, and 2010. Matt Hines, a 1996 winner and now the crew chief for his brother, Andrew, a five-time Pro Stock Motorcycle world champ, earned three Pro Stock Motorcycle championships (1997-99), and Tony Pedregon, also a winner in 1996, won the Funny Car world championship in 2003 and 2007.
to win a NHRA professional event. He has since had a birthday, April 15, and is currently 18 years old. Since the historical victory, Gray has gone on to win 4 more races, also earning the title most winningest rookie NHRA Pro Stock Driver. He has also earned himself the 2017 Auto Club of Southern California Road to the future award that honors the rookie of the year.